In a first for Mediclinic, the Mediclinic Winelands Orthopaedic Hospital will be collaborating with the Institute of Orthopaedics and Rheumatology (IOR) to deliver exceptional outcomes to the Winelands and greater Cape Town community, with referrals already being received from across the country. The facility will officially open on 1 August 2019 and will be located on the same premises as the original Mediclinic Stellenbosch, situated at Die Boord. According to Hospital General Manager, Carol van Zyl, this partnership is all about meeting the need for specialist medical care specifically pertaining to the disciplines of orthopaedic surgery and rheumatology. “There is a mistaken impression amongst South Africans that they need to travel overseas for high-level specialist care. We want to reassure our patients that this care and specialisation is available locally,” says Carol. “The hospital will provide the platform for world-class South African specialists and key opinion leaders to practice to the highest possible level and quality of care. The hospital will also function as a training facility both for specialists from around the globe through formal accredited fellowship programs and shorter visiting fellowships (these are usually 2 weeks vs 12 months for formal fellowships) as well as registrar training in collaboration with Stellenbosch University and of highly skilled theatre- and ward staff,” explains Dr Holger Wellmann, CEO of the Institute of Orthopaedics and Rheumatology. According to Dr Wellmann, the IOR is envisioned as a Specialist Institute, dedicated to surgical and medical management as well as rehabilitation of non-emergency musculoskeletal conditions, at the highest possible level. What does this mean for the patient? “The unit will function as the ‘tip of the sword’ in terms of innovation and capabilities; able to compete in the global arena of specialist musculoskeletal surgery and care. Ultimately, we are hoping to achieve better clinical outcomes for our patients. 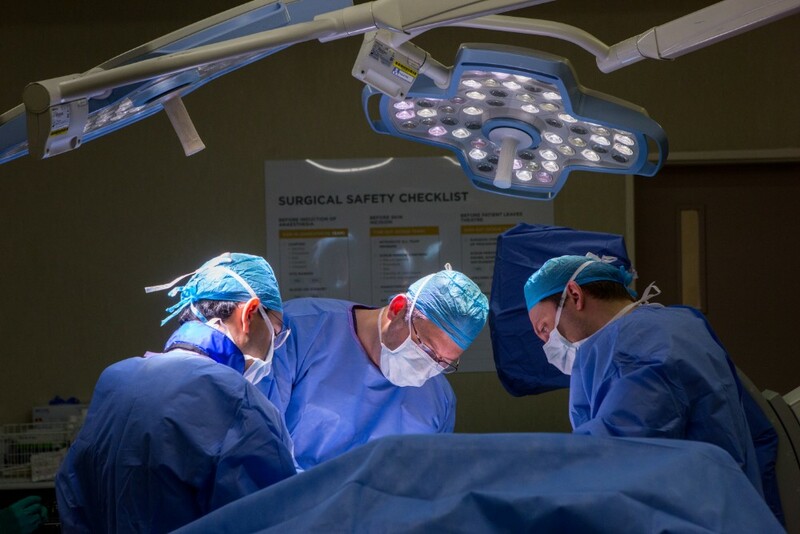 Having the super-specialist surgeons on board is expected to improve selection of surgical procedures, reduce the complication and surgical revision rates that may be found in normal elective surgical interventions. We see the quality of care as well as clinical outcomes as important measures of success for the partnership,” explains van Zyl.